If you are embracing content marketing as part of your marketing strategies to improve your site traffic and sales, then you would definitely use Google analytics to track its performance. Basically, web analytics is used to track the website traffic, number of bounce rates, page views, and other key performance indicators of a website. Many businesses do not know what to do with the data acquired from Google analytics and how to analyze it . We need to set up Google analytics perfectly and verify that it is working as per the requirements. Though, the process is lengthy, you cannot predict its possibilities. There are 13 effective tips to improve content marketing leads quickly. Prior to using these tips, you need to get acquainted on how to create your own Google analytics account and how to use the data acquired from analytics to improvise and optimize your website. We are here to explain you how to merge the acquired data with other tools to improve the site performance, engagement rate, conversion rates by putting your marketing efforts. No one knows who will land on their website and to who the product/services offered by your business will interests them. However, you should not predict your audience, but just determine who they are. This helps you to optimize the website as per the needs of the potential audience. It is crucial for you to find out your user persona in the early phase, since this helps you to craft the content for your site as per their needs. As per the research conducted by Mike Gingerich, it was found that buyer persona will improve the conversion rate rapidly besides improving the email campaign efficient to over 14%. It is all about defining your target audience after thoroughly analysis and research about them by reading interviews, social media studies, feedback gathered from employees and conducting surveys. You need to thoroughly study in and outs of your potential audience and take them as your role model or reference point when you are creating a content marketing strategy. Take an example of MailChimp, this company puts in a lot of efforts to identify their customer base. They conduct surveys in different cities and meet their clients in different workplaces to understand their needs. MailChimp is used as part of email marketing campaign to send bulk and customized emails to the target audience. These people conduct survey to find out how often the companies will send emails to its clients. In addition, they will learn about their client and their working style and the problems that they encounter while marketing. You go to know that your target audience will check the emails and social media before midday, so you need to shoot the new emails or promotional stuff about your business in this particular schedule to get more views and more response. If you are selling Apple devices, then you need to optimize the product or service to give the best product/service to the persona. There are many templates available for you in the internet to create content marketing strategy. You need to use the top-notch tool to create a persona. It is crucial for you to gain sound knowledge on all the metrics showcased on Google analytics. If you want to improve your site ranking or boost your business sale, you need to focus on improving each metric at a time. If your website is receiving scores of traffic, then it means that your website is loved by the audience and is engaging them for a long time. On the whole, metrics will not let you know how informative the content is for your audience. Your homepage might be receiving a sea of traffic due to the usage of effective SEO tactics while your blog post might be receiving huge traffic due to the usage of right promotional tactics of promoting on social media and other places. To find out how useful is your content to the audience; you need to check the traffic and how much time the audience are spending on that particular page. If you have published a blog post, then audience will spend a lot of time reading and assimilating the information. An expert named Neil Patel told that, if you have posted the content of 1500 words and the user has spend over 7 minutes on that page, then your content is said to be informative and useful. The web page that has poor traffic and high bounce rates clearly means that it has poor or useful content while if the user is spending lot of time on searching the intended page means that your site is not easy to navigate. On the flip side, if the traffic to your website is low, but you have high conversion rate, it implies that you are getting quality traffic to your site. It is crucial for you to add social media buttons on blog posts and other informative pages to let the audience share the page with their acquaintances. It is important for you to use annotations while tracking the website traffic and other key performance indicators. This helps you to find out the factors that are influencing your website. For instance, if you have designed a landing page for your website and are working cranky, then you can receive alerts when your landing page is receiving high bounce rate. This helps you to correct the discrepancies on the page immediately. Google support will guide you on how to receive such alerts. You need to use Visual analytics to portray the information in visual format. This helps you to track the mouse movements of the audience on the web page and let you know how far the audience have explored your website. Moreover, this helps you to find out the positive areas on your site and where the user has spent a lot of time. You can focus on optimizing the elements on the home page of the website that are of high priority. You need to write informative content on the website page and format is in an appealing manner to improve the reading experience of the user. You need to keep the text left aligned and font size of over 14 to improve the amount of time spent by the audience on the website while reducing the bounce rates. Conversion is a process of user taking a desired action on the website like making a purchase, registering for newsletters, downloading a video or article or sharing your web page on their social media page. To measure the performance of your conversions, you need to set up goals in Google analytics. The different types of goals include, time spent on the page, event, audience who signed up to the contact page and clicked on submit, etc. You need to include breadcrumbs to let the users keep track of the pages they are visiting. And, if you want the audience to visit a specific page, then you need to track its destination. Basically, for blog posts, you need to track the time spent by the audience on the page. To track the engagement rate, you need to track the screens per visit and if you want to know the number of download, you need to track how many have filled the form and clicked on submit button. It is impossible for you to track the conversion rate performance without setting up a goal on Google analytics. It is crucial for you to have goals set to get the conversion reports to check the number of conversions happened, conversion rate you attained for each goal and give percentage to rate the value of each goal. Micro goals are the starting level of a marketing funnel where the audience will read article, download pdf and fill the contact form. Macro goals are the final level of the marketing funnel where the prospective customer will request the company to give a demo of their product, negotiate the price and buy the product. You should have both micro and macro goals to have a perfect marketing funnel that will help you attain qualified leads. Other tools are also integrated to track the conversion apart from visual analytics including click tracking, recording the number of visitors and doing form testing. Both screen per visit and destination conversions are merged with visitor recording. This helps you to track the journey of the user who has landed on your page. You can watch this journey later. When you watch this journey, you get clarity of how user has reached the destination and through which pages the user has navigated to the destination. You can focus more on optimizing those lead generating pages to reap positive outcome. Also, you can correct or improvise the navigation architecture and place the Call-to-Action buttons at the right places on the website. You can use the feedback that you get from optimizing the future projects. If you are not receiving the expected conversion, then you can watch the user’s journey on your website and find out the weak area and correct them. Filling forms is an important goal that has to be set for ecommerce websites. If you observe that the user has landed on the registration form and bounced back, it means that the registration form is time-taking to fill. Basically, there are a few fields that will frustrate the audience to complete the registration form. You need to fix the bugs in such fields and ensure to reduce the drop rates of that particular field. The best thing about content marketing strategy is to offer free content to the audience. To download an eBook, whitepaper or a PDF about your product, the user has to give email address or phone number in exchange. You can use this information to nurture the lead. If the content you are providing is informative, then many users will download the eBook. To check how many people are downloading your eBook or whitepaper, then you need to set up an event tracking which gives you an alert when someone downloads your eBook or whitepaper. You need to add tracked links in the content of the eBook to check whether or not the person who has downloaded the eBook is really reading it. There are many people who just collect the eBooks, but do not read them. You can get the freebies through landing pages. You can either set up the freebie by yourself or use the service offered by various service providers including Unbounce.com or Optimizely.com. These services will let you create an appealing and eye-catching landing page on the editor. The best part is that, after creating the landing page, you can conduct A/B testing to check the site response. You can use Ubounce to track the site performance and get the number of people who are downloading eBook and other stuff from your site. In addition, this service lets you to add scripts onto your landing page. To track the performance of the landing page you can add conversion analytical scripts. This helps you to analyze the user behaviour on the landing page. Many people face difficulty in filling their phone number in the phone field of contact form. There are many theories which have proven that asking for contact number will reduce the conversion rates. Also, people do not click on the last field of the contact form. You need to create segments in Google analytics. Earlier, you have created a user personal on which your content should be completed focused. With segments, you can find out the filter out your target audience and use the data that is important for your business for improvisation. For instance, If you notice that your target audience are no longer reading the content on your site, it clearly means that your competitors are offering much better content or deals than you. 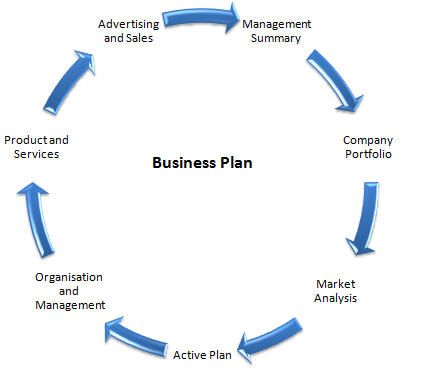 There are many tools that are used by the business to generate reports that are coming from different users. Example of a tool includes Woopra. This tool lets you to see the journey of the user on your website clearly. Also, the visitor recording will let you check the action taken by the user during the journey on your website. No business can know the users until and unless they check the recording. With Woopra tool, it helps the businesses to check the recording to find out the problems that the user has encountered while navigating on your website. When you observe any error on the website, you need to immediately fix it to avoid browsing issues for the user. There is a reputed client who have closely observed the path of the visitors on their website and got to know that the users are bouncing from the registration form due to presence of one button. When they have removed the button, they saw a steep rise in the conversion rate. This clearly helps us learn that a small error can take a toll on your business. With Google analytics you can track the performance of campaigns. Moreover, this helps you to know the source from where the audience have landed on your website. If the campaign is set perfectly, you will know from where the user has come from to your website. Google analytics will give three channels along with percentage to let you know from where traffic has come to your site. • Organic: This is the traffic that you have gained to your site through Google or other search engine results page. You can even expand the campaign and also find out the traffic that you are receiving from emails, twitter ads, pop-up ads, etc. For that, you need to use a URL builder. This gives you a tag which you need to add into your campaign. You need to place any two of the five parameters below in the campaign to track its performance. o This helps you to know from which source you are receiving the traffic (including Quora and newsletters). o This helps you to know the percentage of traffic you are receiving from paid searches. Also, if you have multiple ads focused on different keywords, then you need to specify the keyword. o This helps you to know the traffic you are receiving through content targeted ads. In addition, you can use this parameter to track the ads or links that are redirected the user to the common page after clicking. Google Analytics is the best and powerful tool that lets you to track the performance of the website. To use this tool, you should have sound knowledge on it. The above tips to improve Content Marketing Leads will help you to make a better content marketing strategy. Google analytics will provide you with the required data, but sometimes, you do not know what is happening on your website and how to improve the leads by using the gathered data using the tool. The tips let you to easily optimize the website completely. 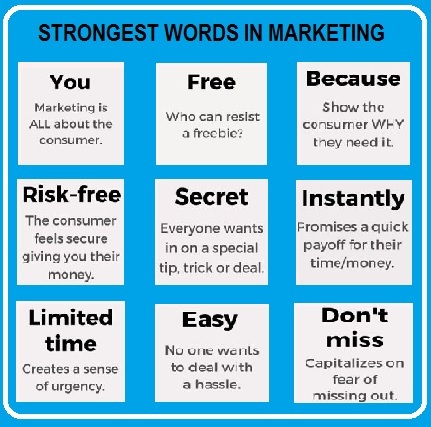 When you embrace these tips, you would definitely make most of your marketing efforts.